Sit, down, stay, come, and loose-leash walking: these foundation skills make living with a dog easy and fun. Private lessons in your home (within our service area) are the perfect solution for you and your dog. 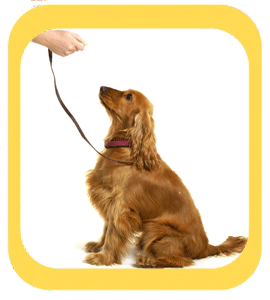 Our trainers will provide basic obedience programs tailored just for you! Choose the option that works best for you: one lesson, two, or our discounted six-lesson package. Multiple lessons must be completed within 4 months or 6 months after initial lesson depending on the selected package. Choose either the two- or six-lesson package.